Save 10 percent on a well-equipped laptop. 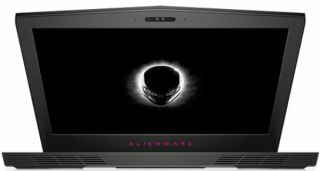 Alienware laptops are typically more expensive than much of the competition, though there's a 10 percent off coupon code (EXCLUSIVE10) that brings some pricing parity between the Alienware 15 R3 with other gaming notebooks. Using it on the default configuration drops the price down from $1,519 to $1,367. Dell is already claiming a $556 savings from the laptop's supposed "market value" of $2,075. That seems a bit inflated to us, but whatever, it's all about the final tally and what that gets you. The Alienware 15 R3 also features 802.11ac 2x2 Wi-Fi and Bluetooth 4.1 (Killer 1435), two USB 3.0 ports, a single HDMI port, a mini DisplayPort, a Thunderbolt 3, and a 99Wh lithium-ion battery. Some of the components can be upgraded. For example, you can bump the RAM up to 16GB (2x8GB) and double the SSD storage to 256GB, which brings the tally to $1,455.29 after applying the coupon code, down from $1,617. Go here to grab the Alienware 15 R3 for $1,367 (after coupon code) or here for the beefier setup.